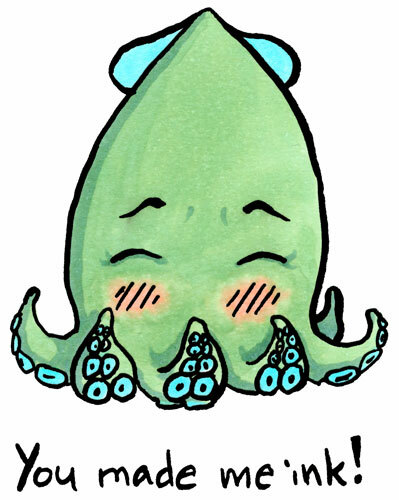 This wee little squid is a bit embarrassed by how very excited he or she gets when you’re around (even squid don’t always know which is which). 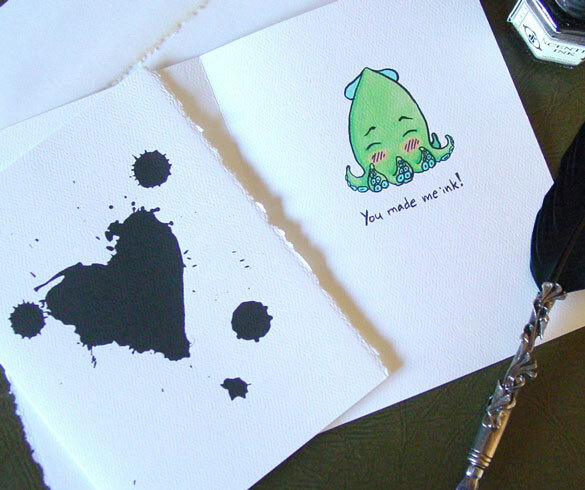 There’s a silly heart-shaped inkblot on the front of the card, and this little squid decorates the inside with plenty of room for your sentiments and signature. 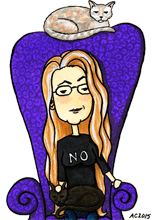 This is a great card for someone you’ve got a crush on, or who still excites you after all these years! Squid Inked, 5″x5″ pen & ink and Copic markers on paper, original $59 with free shipping (inkblot not included).